I’m writing this blog post from the second floor porch of a Victorian B&B in Ocean Grove, NJ, overlooking the Atlantic Ocean. There’s a brisk wind off the ocean today, but the sparkling white caps and the fishing boats hovering close to shore hold promise of a breaching hungry whale or two…and some spunky dolphin dive-bys. 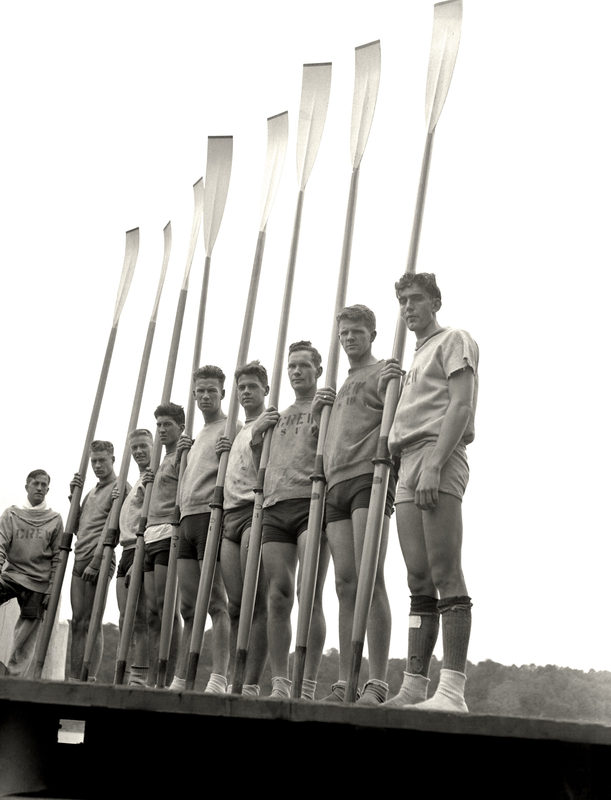 Inspired by the New York Times #1 bestseller, The Boys in the Boat (Penguin/Random House), by Daniel James Brown, the documentary recounts the individual economic, physical and psychological obstacles faced by nine working-class young rowers from the University of Washington as they prepared to compete for a Gold Medal at the 1936 Olympic Games in Berlin. Author Daniel James Brown, period and sports historians, and the children of several of the rowers discuss the Depression-era hardships faced by these sons of loggers, shipyard workers and farmers who not only went on to beat the favored U.S. Ivy League rowing teams but Hitler’s elite German rowers as well…with the ever-present Hitler and his minions hovering nearby. The University of Washington’s varsity crew team at the Poughkeepsie Regatta Races in June 1936. Photo courtesy of Corbis. 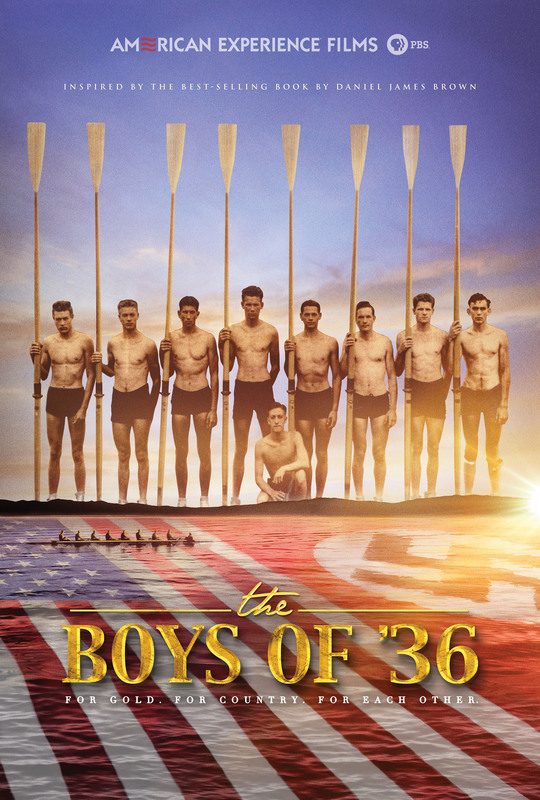 With succinct voice-over narration delivered by actor Oliver Platt in Ken Burns’-cadence, The Boys of ’36 includes wonderful vintage sports footage of the individual team members, their competitions leading up to the Olympic Games and their Gold Medal victory in Nazi Germany circa 1936. Kudos to Margaret Grossi, the director and producer of this uplifting, sharply focused hour-long documentary, and to the film’s co-producer, NBC-News Olympic Games analyst Mary Carillo. This entry was posted in Books, Film, Publishing, TV and tagged American Experience, Daniel James Brown, Margaret Grossi, Mark Samels, Mary Carillo, Oliver Platt, Olympic Games, Rowing, Sports, The Boys in the Boat, The Boys of '36, University of Washington. Bookmark the permalink.